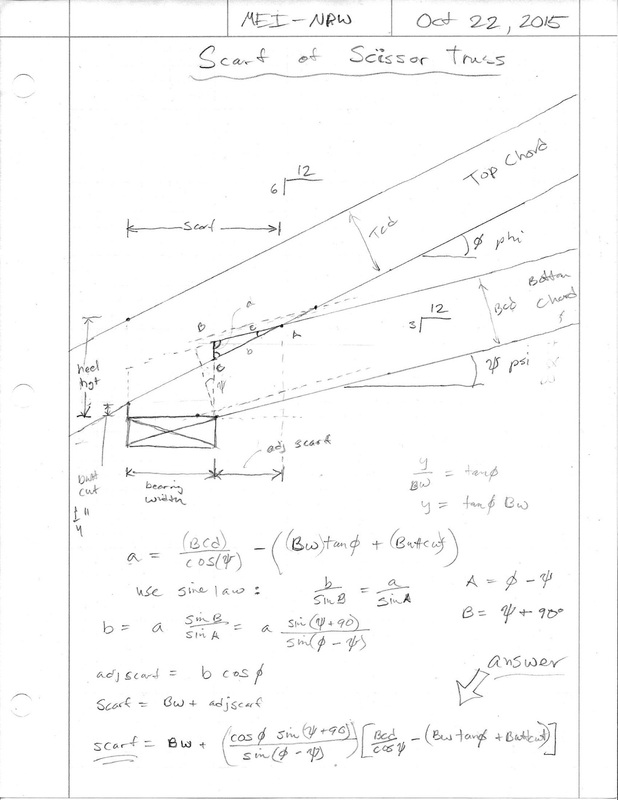 I'm looking at adding in scissor trusses. Below is a matrix of common scissor truss configurations. 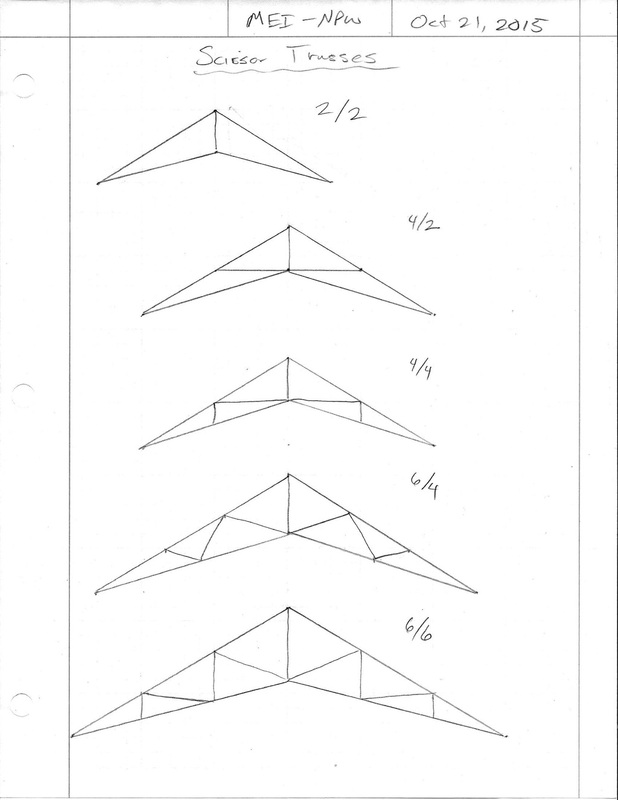 Once they get much larger than a 6/6 I think they probably go to site assembled half trusses, I'm not entirely sure since I don't have any drawings or diagrams of anything larger than a 6/6. For the common truss types I've configured the plugin to detect the SketchUp template units and display a metric UI. I've also replaced the x/12 system with degrees for the metric interface. All member sizes and other dimensions are open for the metric interface as well. Go ahead and give it a whirl, if it checks out then I will go ahead and update the attic and monopitch UI with the metric option. Click on the plugin link. Your order number and data will appear, click on the order number, then click on the Download Now button, this will be the latest version. All licenses currently purchased are permanent, this means you are entitled to all upgrades in the future. At some point I may move to a yearly license so that those licenses will only entitle the user 1 year of upgrades and then after that they will be required to purchase an upgrade to get the latest version. I don't want to make the licensing a burden to the users but I also want to be fair to myself if I spend alot of time and effort adding in more trusses and features. You will notice that the License type in the Account Manager lists the License as permanent. This license and order is associated with your Client ID in the database. As long as you have access to your Client ID and can login you have access to the latest plugin. With the truss plugin I have been primarily focused on typical MPC wood trusses however the potential for other truss types does exist. I'm wondering if some of the more exotic timber truss types can be codified in a similar way so that one can generate possible configurations and experiment with their design. 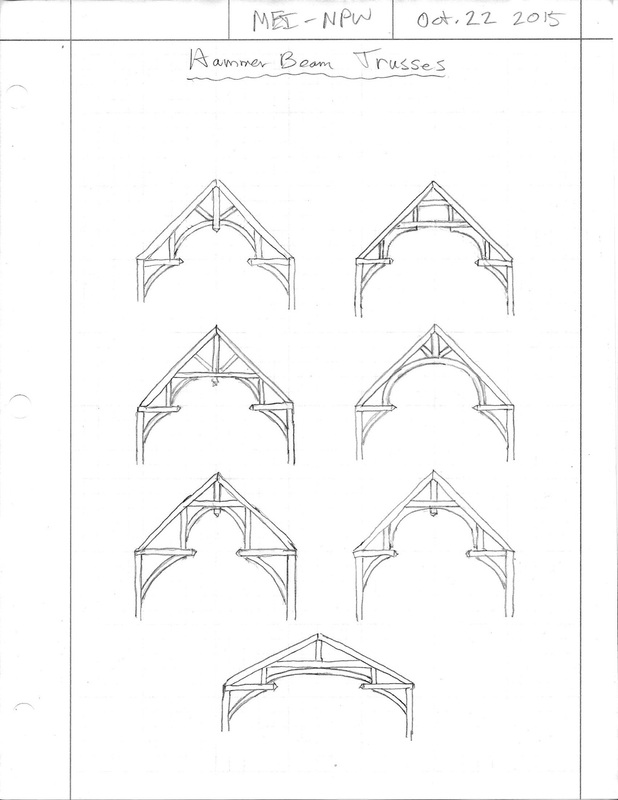 Any thoughts on these types of trusses? Would there be any interest or need? Would it be appropriate to add these types of frames/trusses into this plugin or would a separate plugin be a better option? 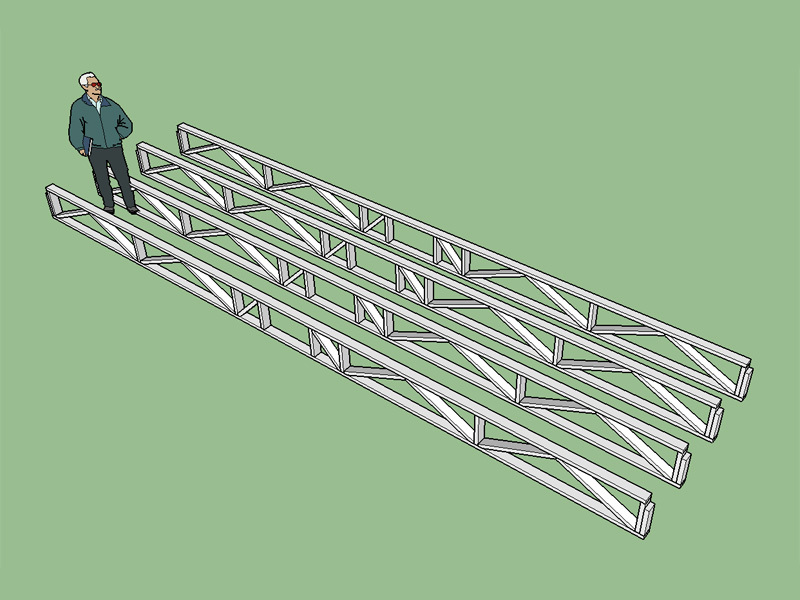 I was thinking about adding the scissor truss family to my SketchUp plugin until I realized that the calculation of the scarf of the bottom chord was a bit more complicated than your typical common truss with a zero pitch bottom chord. When I actually sat down and did the math it became clear how much more complicated it actually was. If anyone cares to check the math I would be very grateful. I will probably run it into AutoCAD tomorrow and graphically check the geometry against the equation, they should give the same result. Notice how the bearing width factors into the scarf and ultimately affects the entire design of the truss (web placement, panel lengths). This is why the truss companies require the bearing width before they can quote you on scissor truss package. Makes one appreciate computers a little more when you realize that the software, once programmed, can take care of all these detailed calculations without us giving it a second thought. In certain instances the scarf length of the bottom chord becomes less than the bearing length, the logic checks for these cases and inserts either a 3.5 or 5.5 heel wedge as required. 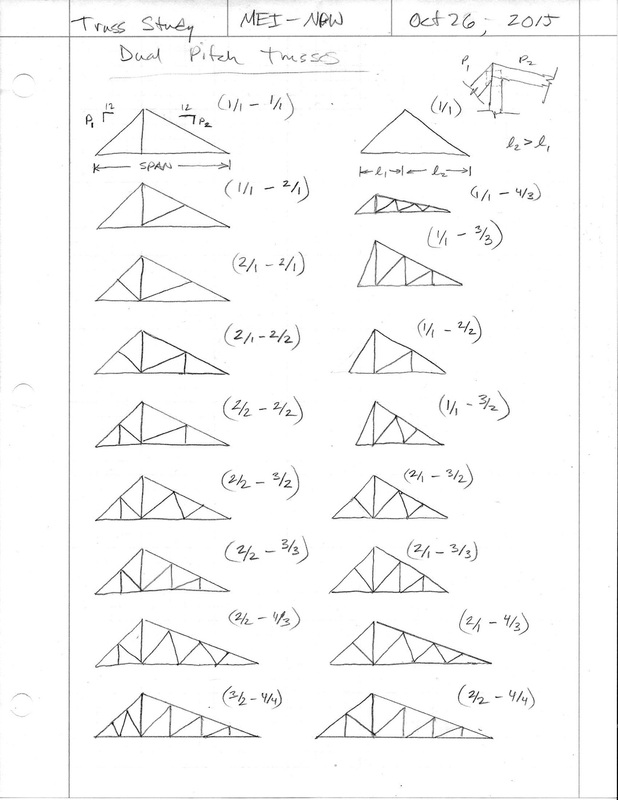 Of course this is only a small sampling of the potential truss families and types. 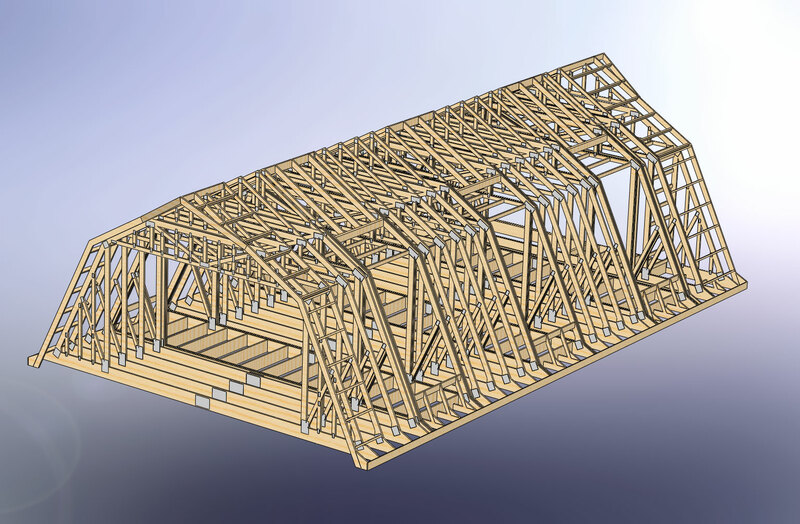 Beyond the basic truss families I would like to have the plugin also have the option to generate gable end trusses for each family was well as all the raised heel variants (wedges, sliders and verts). 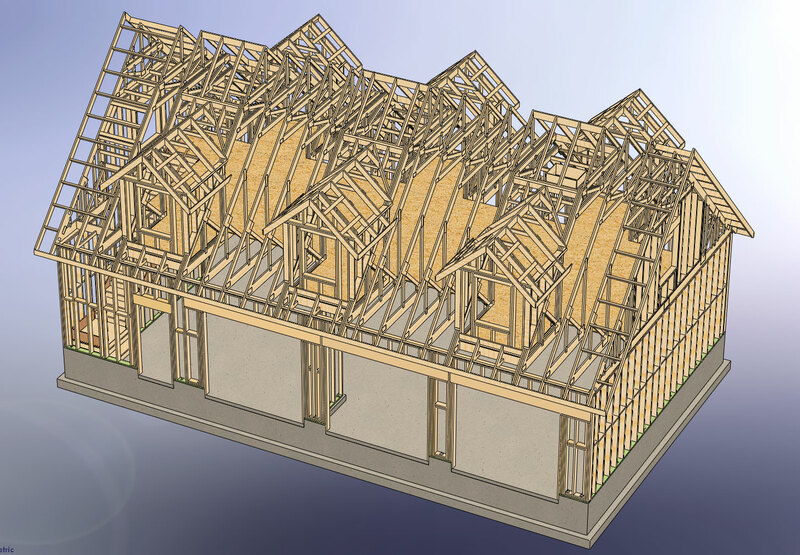 The gable end trusses are more complicated than originally thought since structural and dropped gables also need to be included. Dropping the top chord 1.5 or 3.5 inches also further complicates the matter since this change in drop involves a different geometry. Instead of dumping the trusses at the origin I've had requests for the ability to locate the truss array based on selection of a bounding rectangle. I need to give this some serious consideration since it will probably make this plugin that much more valuable and efficient to use. I'm also thinking about more complex situations such as entire hip sets and valley sets. 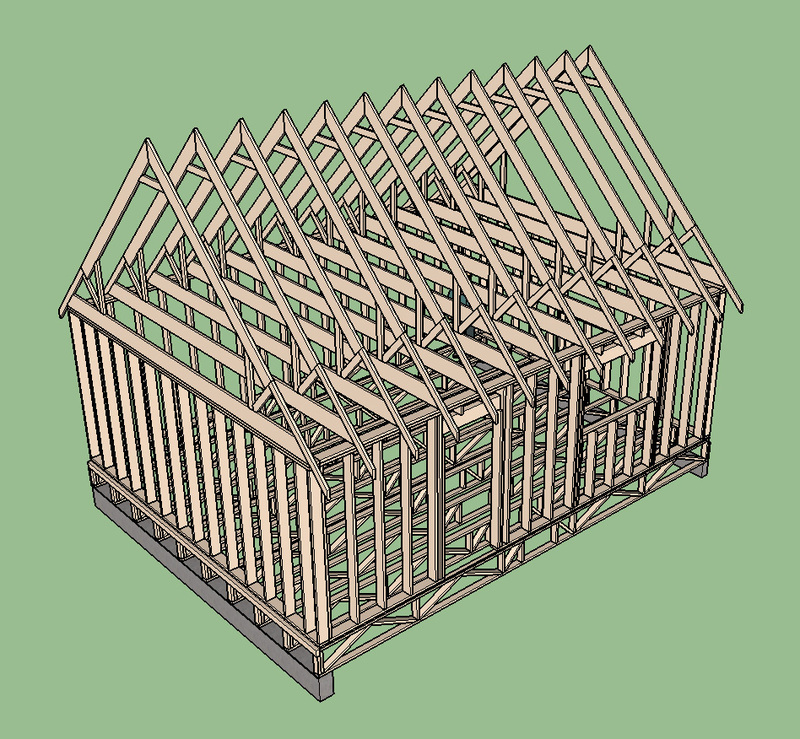 Then there are transition gable end trusses and transition gable end monopitch trusses, which may or may not be worth adding. 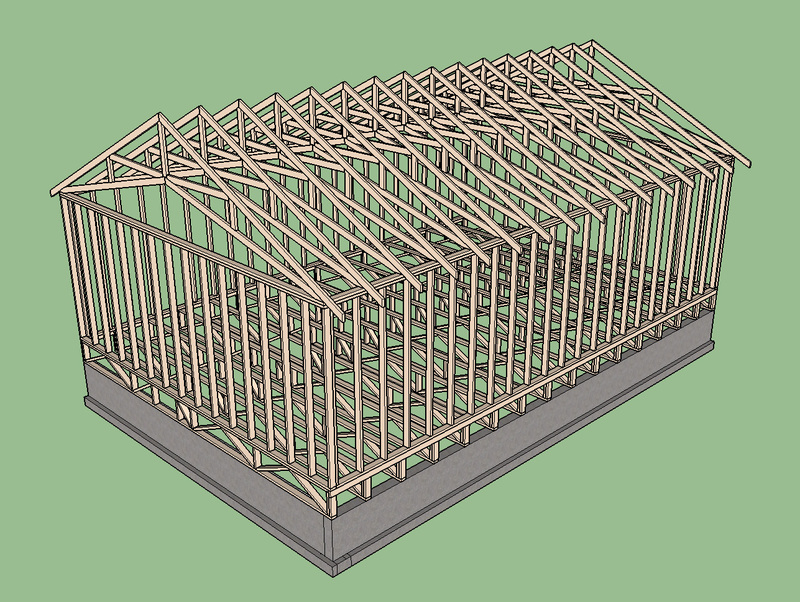 On a completely different note I've also considered adding in timber framed trusses (ie. 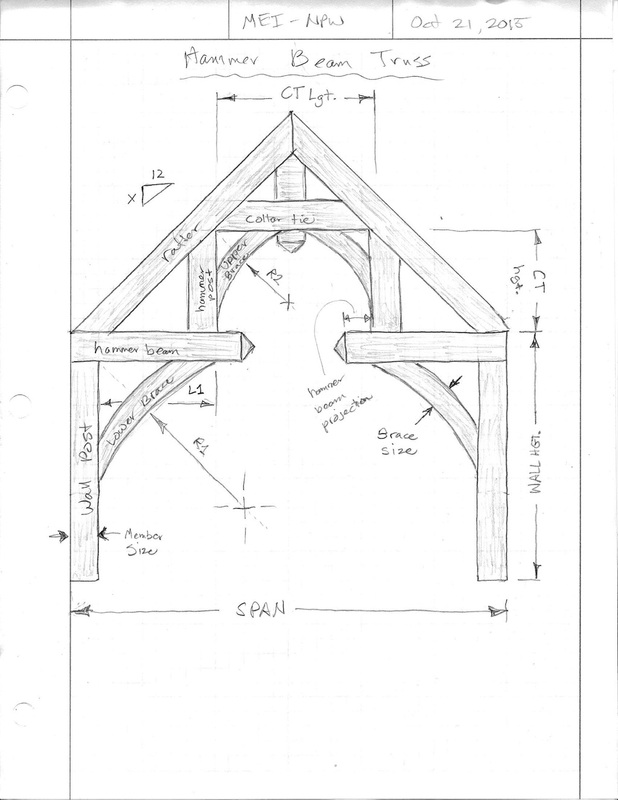 hammer beam trusses etc...) however I think a separate plugin dealing specifically with timber framing would be more appropriate. I have no idea how long it will take me to accomplish all of this. 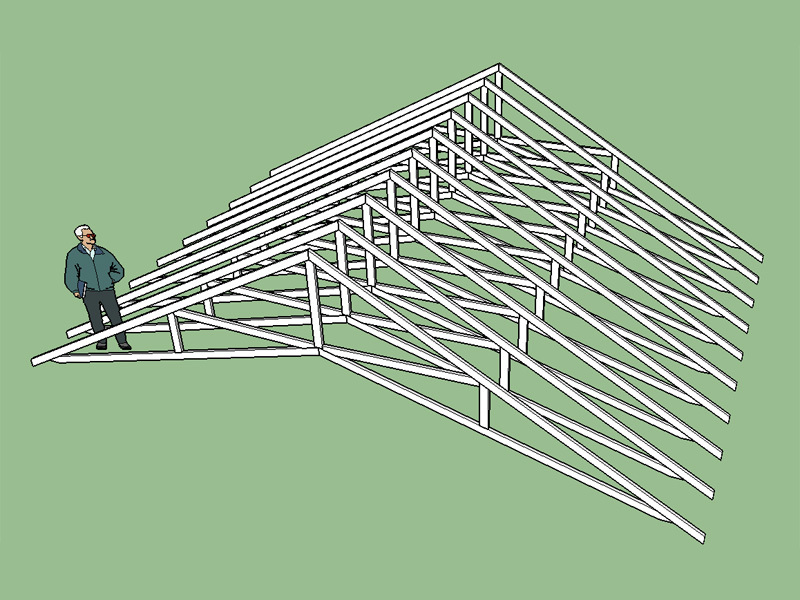 I have become faster at adding truss types as I've settled into a standard procedure for adding each truss family. However, each truss family takes at least 2-3 hours to add in and then that only includes 1 or 2 configurations whereas I should probably add at least 4 to 5 configurations for each truss family. I will probably continue to chip away at this as time allows and as interest grows. As you can probably tell trusses are intensely interesting to me and that will probably keep me going regardless of the interest levels. One central chase that can be position relative to the left end of the truss. If the chase becomes closer than 1/4 the span to either end it will flag the user and re-position. Also some logic to check the chase size to span ratio and absolute max. chase size (24"). 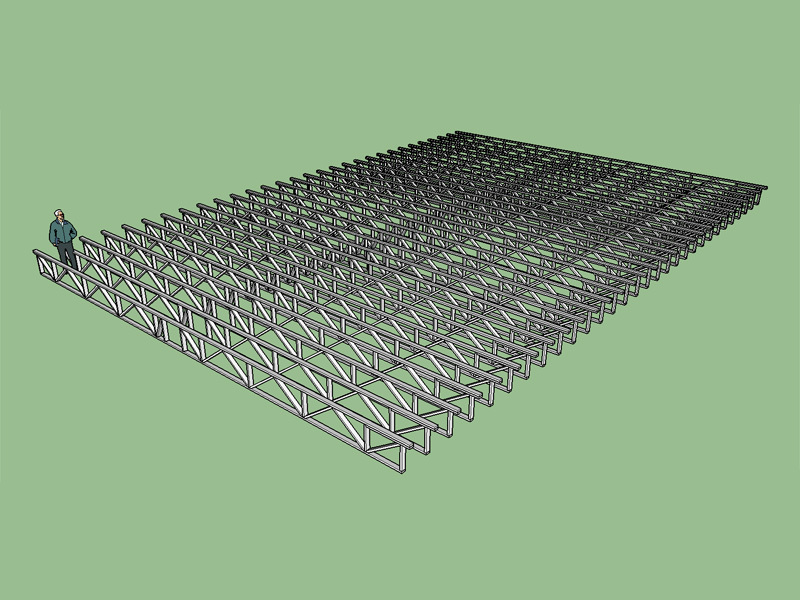 System 42 or 32 floor trusses using the modified warren configuration which seems to be the most popular for this type of floor truss. Top bearing configuration includes an additional slider for extra strength and a vert. 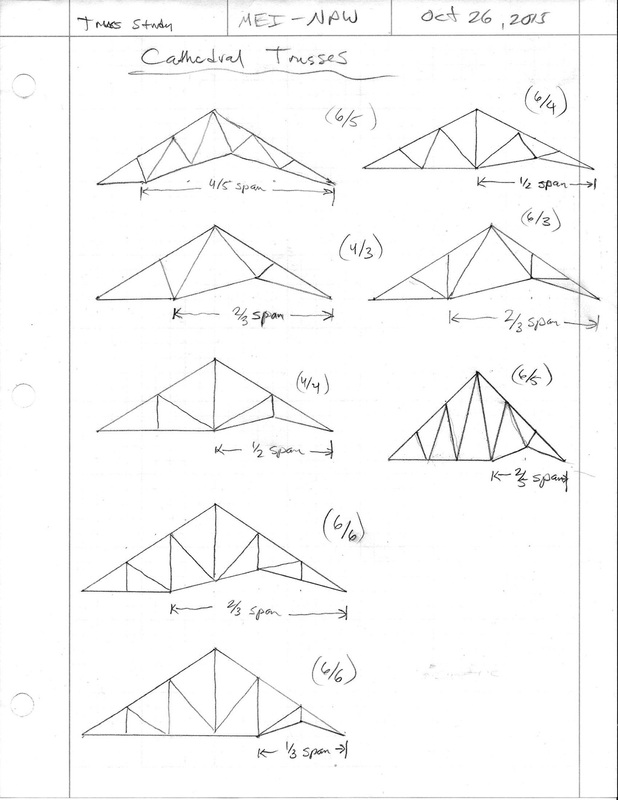 Note the change in diagonal directions when comparing a top to bottom bearing floor truss, I was not aware of this until studying them in some detail. Typical panel length is 28" but this can also be set by the user to any value. I figure if you need more than one chase it isn't to hard to manually edit the component and copy a couple of the vertical members over and then trim out the diagonals. Floor trusses 40' span, 60' bldg. length, 24" deep. Notice these are top chord bearing trusses with the diagonal webs reversed from the bottom bearing trusses in the previous post, this is by design. This model was created in Solidworks and probably took a day or two to assemble. Notice the gambrel attic and the gable end trusses. That ability I would like to add into the plugin. This next model was also created in Solidworks and only shows the foundation and framing, the entire model represents about a month of work including the drawing set. I would like to see a plugin that is capable of generating this level of structural detail in a couple of hours instead of weeks. Is this possible? On a related note, does a plugin exist for creating SOG and stemwall foundations? I haven't made this latest update live just yet as I need to update all of the other truss types to make sure it does not break anything. The other thing I am changing is the second user prompt box that allows one to enter in the number of trusses. I have now switched to a building length and the logic spaces the trusses based on the this length and the truss on center spacing. Gable end trusses can be switch on or off. Spacing of the gable studs is another user input. Hopefully I haven't broken the metric inputs with the latest revision. I will test further tonight but so far its looking really good. Version 1.0.7 took a while to pop out. The big improvement is the ability to click with the mouse at three corners and place the truss set without any additional rotating or translating. Of course the gable walls are not quite right but you get the idea. 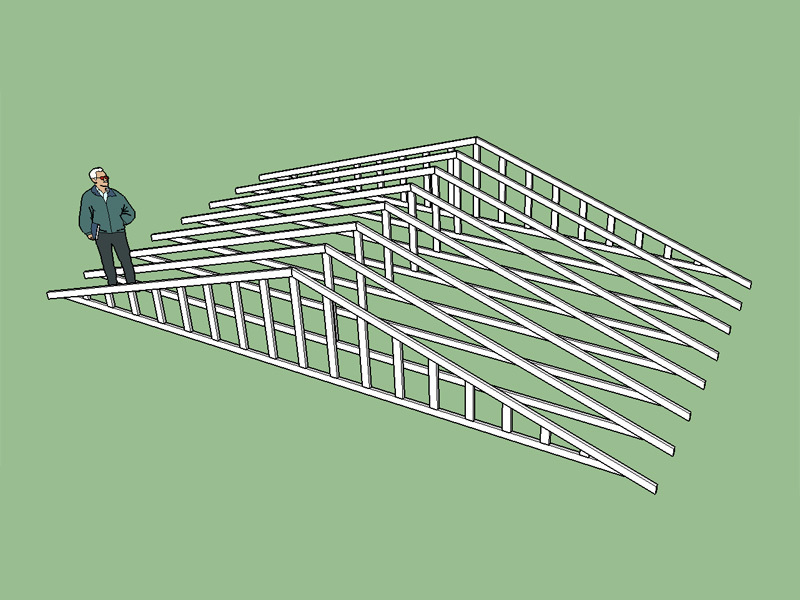 I may have slightly misunderestimated (a word created by GW Bush) SketchUp and what one can do with it. The biggest hurdle was to learn how to create and properly set up a "tool" within the API. Adding different truss types is much more fun than working through that mess. I'm also thinking it might be useful to have an option to put sheathing on the roof and/or floor? I'm also looking for a good plugin that does stemwall and slab on grade foundations, if anyone has recommendations please advise. I may use my own plugin for my own practice in order to quickly mock up certain structures and provide visuals. With the right tools I think SketchUp can be a very effective and quick turnaround platform.